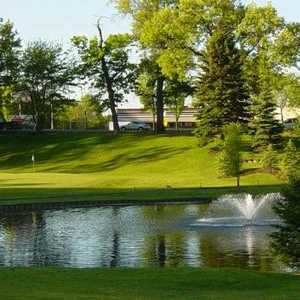 The 18-hole Bay Pointe Golf Club in West Bloomfield, MI is a public golf course that opened in 1985. Designed by Ernie Fuller, Bay Pointe Golf Club measures 6231 yards from the longest tees and has a slope rating of 122 and a 70. The 18-hole Knollwood Country Club in West Bloomfield, MI is a private golf course that opened in 1925. Designed by Arthur Ham and Donald Ross, Knollwood Country Club measures 6801 yards from the longest tees and has a slope rating of 139 and a 73. 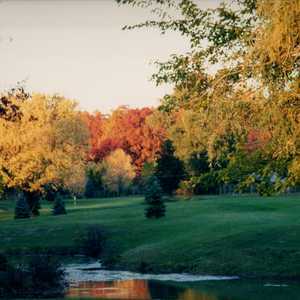 The 18-hole Shenandoah Golf Course in West Bloomfield, MI is a public golf course that opened in 1950. Designed by Jerry Matthews, Shenandoah Golf Course measures 6504 yards from the longest tees. The course features 3 sets of tees for different skill levels. The 18-hole Tam O'Shanter Country Club in West Bloomfield, MI is a private golf course that opened in 1929. Designed by Wilfrid Reid and William Connellan, Tam O'Shanter Country Club measures 6759 yards from the longest tees. The course features 3 sets of tees for different skill levels. The 9-hole Twin Beach Country Club in West Bloomfield, MI is a private golf course that opened in 1929. Twin Beach Country Club measures 6306 yards from the longest tees and has a slope rating of 128 and a 71.1 USGA rating. The course features 2 sets of tees for different skill levels.